Mined from metamorphic and igneous rock, it varies considerably in crystallinity. Natural graphite remains stable over a wide range of temperatures, making it an excellent conductor of heat and electricity. With a melting point of 3650°C (6602°F), it has a wide array of applications in machining. Natural graphite is further divided into three material subcategories: amorphous, flake and high crystalline. This mineral is most frequently used for refractories, batteries, steelmaking, expanded graphite, brake linings, foundry facings and lubricants. Synthetic graphite can made using coke and pitch. Synthetic graphite typically has a higher purity than naturally occurring graphite, but is not as crystalline as natural graphite. Also, synthetic graphite generally has a lower density, higher porosity, and higher electrical resistance. Because of its porosity level, this type of graphite should not be used for refractory applications. Graphite can be used for refractory materials, as mentioned, but it also has many applications in the electrical, chemical, nuclear and mechanical industries. 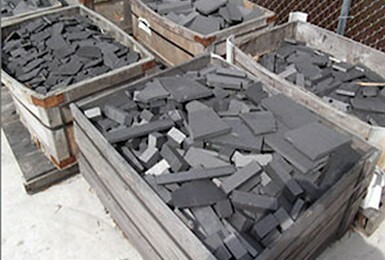 In the refractory world, graphite is used to build kiln and blast furnace bricks. It is also used to produce crucibles, ladles and moulds for holding molten metals. 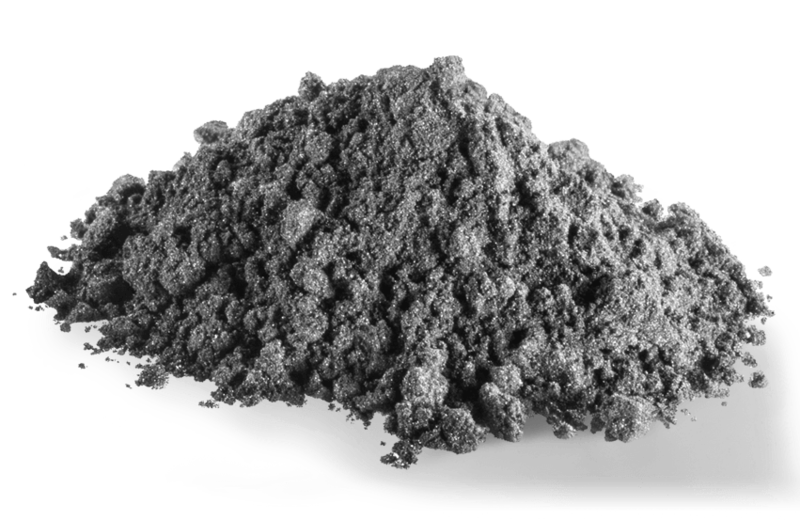 Graphite flake is one of the most commonly used materials in the manufacturing of refractories made for the continuous casting of steel. In the electrical world, graphite’s main use is in making carbon brushes and electric motors. Graphite also works well in the chemical industry because of its extremely high melting point. It is used in such high-temperature processes as the production of phosphorus and calcium carbide in arc furnaces. It is also used to conduct electricity in some aqueous electrolytic processes like the production of halogens like chlorine and fluorine. High purity electrographite is well-suited to the nuclear industry because of its low absorption of neutrons, high thermal conductivity and ability to maintain strength at high temperatures. It is used in large amounts in the production of moderator rods and reflector components in nuclear reactors. Graphite is largely used in the world of mechanics and engineering. Applications include piston rings, thrust bearings, journal bearings and vanes. Additionally, graphite-derived carbon based seals are used widely in the shafts and fuel pumps of aircraft jet engines. Some types of graphite are better suited to certain applications than others, though they often overlap to some degree or another. For example, amorphous graphite is well-suited to metallurgy, pencil production, refractories, coatings, lubricants and paint production. Flake graphite, while also used for refractories, is predominantly used for secondary steel production. It is sometimes also used in lubricants, powder metallurgy, pencils and coatings. Crystalline graphite is mostly used in batteries and grinding wheels, though it can also be used in lubricants and powder metallurgy. All forms of natural graphite are used in the production of graphite foil. Synthetic graphite is also used in batteries, but unlike natural graphite, is further used in aerospace applications, carbon brushes, graphite electrodes and moderator rods in nuclear power plants. 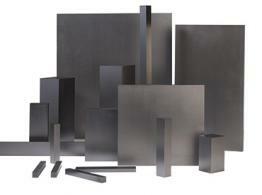 Graphite Materials There are two main classifications of graphite, natural and synthetic. Natural graphite is a semi-metal mineral, which consists primarily of carbon.